and we are going to Italy... Alice Gosti, Devin McDermott, Katherine Riggs and Anh Nguyen have been invited to Ravenna, Italy in September for the dance festival, Anticorpi XL, Network di Giovane Danza di Autore (Showcase of Young Dance and Choreography) in order to present 3, which debuted at the University of Washington Dance Majors Concert in 2008. This Blog is to keep you updated with our adventures. 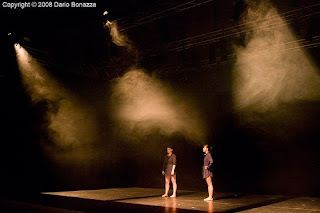 This weekend, April 24th to the 25th, DAKA was invited to perform as part as the Dance & Choreography Showcase 2009 organized by Whidbey Island Dance Theatre. I never made a mix tape vol2. In that show Devin McDermott, Katherine Riggs (DAKA members) and David Lawrence were invited to perform Twyla Tharp's Fugue. The show was really exciting and trilling. The young performers of Whidbey Island Dance Theatre demonstrated incredible talent and performance capability, it was precious to share the stage with them. I was invited to teach a warm up class, which was really fun. This Week-end DAKA ladies will be performing a new piece I never made a mix tape version1. 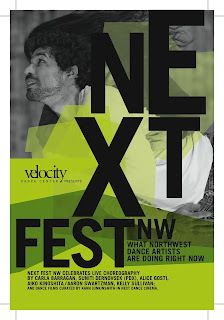 What Northwest dance artists are doing RIGHT NOW! As well as dance films in Next Dance Cinema (December 4 at The Henry and December 11 at Northwest Film Forum, screenings at 7 PM) curated by Karn Junkinsmith by Paige Barnes/The Music of Grayface, Carla Barragan, Corrie Befort, Catherine Cummings, Kristina Dillard, Yuki Enomoto, Alice Gosti [AIRPORTPROJECT], Karn Junkinsmith, Ricki Mason, Erika Mayfield, Megan Mertaugh, Renee Rhodes, Adam Sekuler, Nathan Vass/Rachel Randall, and Jenna Veatch. a new version of 3 will be performing at Velocity for the Next Fest Northwest. Heads up for more info. 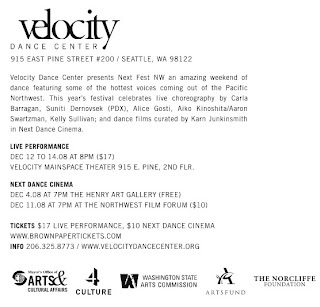 Performance will be at Velocity Main Space December 12-15th! Come see 3 and other pieces being performed. Come donate money and watch fun dancing! All the money raised will help us pay for our travel expenses, to go to perform in Italy in September 2008.